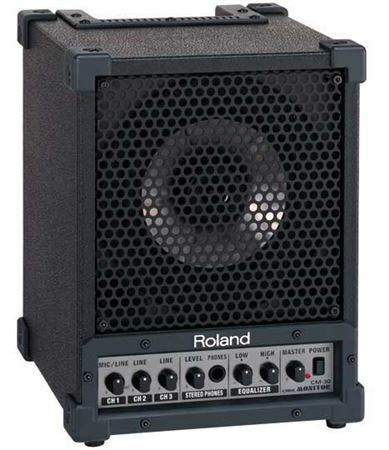 Order your Roland CM30 Cube Monitor from AMS and enjoy 0% Interest Payment Plans, Free Shipping, Free Extended Warranty & 45 Day Money Back Guarantee. 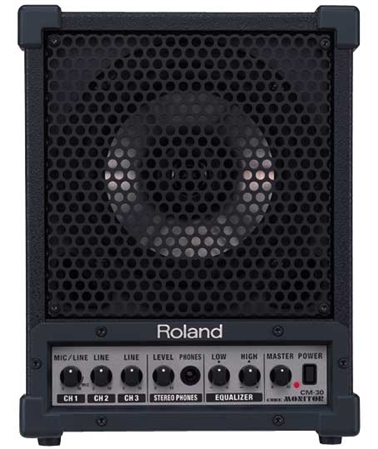 The Roland CM-30 CUBE Monitor delivers 30 watts of audio punch through a rugged, high-quality 6.5" coaxial 2-way speaker with stereo preamp. 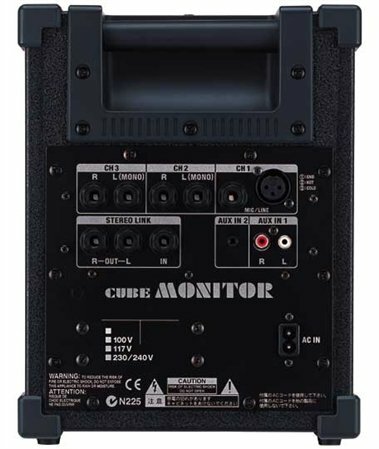 Versatile and portable, the CM-30 is ideal for home-studio and wide-ranging monitoring applications, but it can be used for live monitoring onstage as well. Weight: 5.6 kg 12 lbs. 6 oz. This is a great amp for anyone that wants a small but good quality sound with their keyboards or digital pianos. I love the warm acoustic sound i get when i use the warm dark sounding piano or when i use the electric piano and other instruments. This is a great unit for our family music room. It serves our electric drum kit well and is fun (but not too loud) when the kids want to use the microphones. Great sound in a small package! Very sturdy monitor. Feels solid. I like the built-in handle. I wanted a small practice monitor for my house. I ordered a Peavey 20 watt studio monitor and sent it back. It might have been okay, but there was a defect so instead of getting a replacement I opted for the Roland. Very easy. 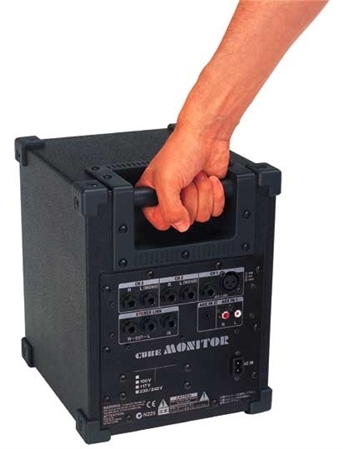 Has just enough inputs for use as a practice and studio monitor. I use it with my keyboard and vocals. Excellent tone. The bass end isn't heart-thumping but certainly more than good enough for your studio or even small venues. I will say it again - straight forward Simplicity. THIS IS AN AMAZING PRODUCT! I played my nylon electric Ramirez through it, then through a powered 15" Speaker with Tweeter -- The Roland competed with Goliath! Outstanding, as is typical of the Roland line. It's a Roland what more can I say? It's a great monitor, amp, and mixer. And it has stereo link capability if you buy 2. Easy to use. Nothing complex about it. Sounds great when you monitor drums, acoustic, and clean electric guitars, and cds.